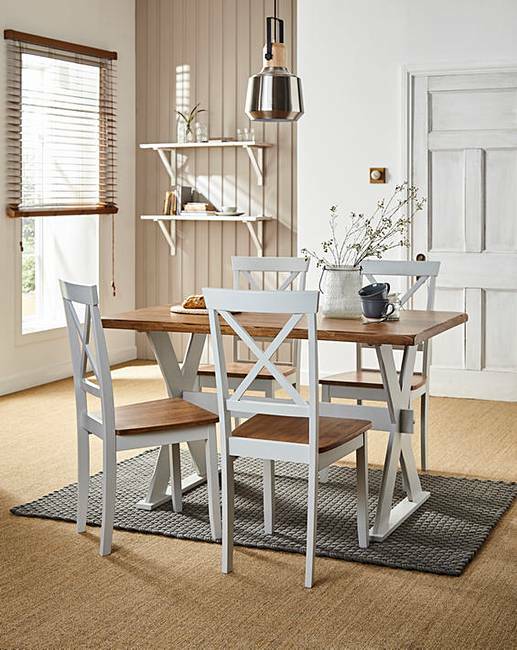 The Horsforth dining table with four chairs is a rustic dining range crafted in solid wood. Finished in a choice of colours, either a contrasting oak and ivory or grey and walnut. 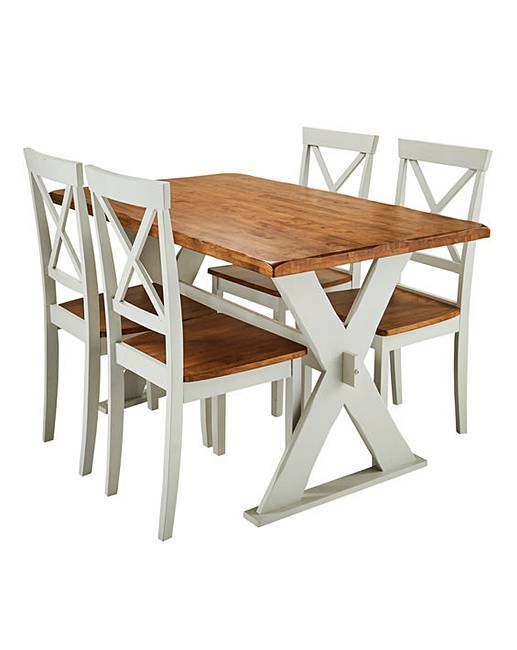 The table comes with a striking X-design and is complemented by four solid wood chairs with a cross back design. Maximum user weight 86kg. Easy Build products have been specifically engineered with you in mind so that you can quickly and easily assemble them. Self assembly. Table H.75 x L.120 x W.80cm. Chair H.95 x W.44 x D.49cm. Seat height from the floor 45cm.